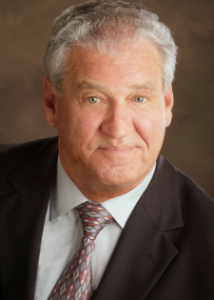 Mr. McAnally has spent more than 30 years in direct selling and sales management assignments. His career includes complementary experience with a large, multi-national management services firm in the positions of director of sales support and systems and director of sales training. He holds a BS in Engineering from the United States Naval Academy. A career sales professional, he has coupled his extensive sales experience and management skills with a firm grasp of the sales compensation issues facing sales organizations today. A problem solver, he combines this practical knowledge with a firm commitment to commonsense solutions and measurable results. Entrepreneur, author, and public servant, brings 30+ years of strategic planning, public relations, marketing, business strategies, and entrepreneurial expertise to his service to the community. Over his career, he and his teams have worked from Oslo to London and San Francisco to Seoul with scores of companies, non-profit organizations and government agencies, providing strategic counsel and operational support to help refine strategic direction, articulate a clear vision to stakeholders, and build programs that achieve specific business objectives. A successful entrepreneur, Mr. Marino was part of the Silicon Valley start-up team in the mid-90s that launched Wayfarer Communications, a pioneer in Internet “push” technology, that was ultimately acquired by PeopleSoft. 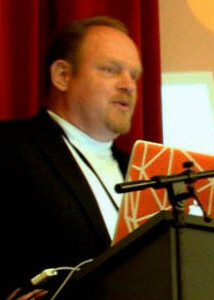 He also built and sold several other media and technology-related companies, including NewTech Publishing, Quantum Media, and GS2.net. Mr. Marino currently serves as the Chief Executive of the Lakewood-West Colfax Business Improvement District (BID) and co-founder and board chair of 40 West Arts—a 501(c)3 nonprofit that operates 40 West Arts District, runs its art venues, and offers support to creative members of the community. 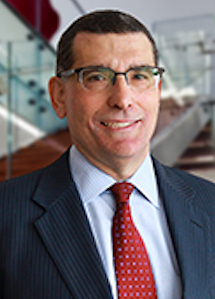 A Partner in the Denver office of Armstrong Teasdale and Co-Chair of the Firm’s Higher Education practice group. Mr. Ojile has more than 25 years of experience resolving difficult legal, policy and compliance issues for higher education institutions and other entities operating in highly regulated environments. From 2006-2015, he was Senior Vice President, Chief Legal & Administrative Officer for Alta Colleges, Inc. In this role, Mr. Ojile was responsible for the legal, human resources, regulatory, government affairs and compliance functions of the Company. He previously worked for Valor Communications Group, Inc. (NYSE: VCG) in Irving, TX from 2000 to 2006 as Senior Vice President, Chief Legal Officer & Secretary. Prior to joining Valor, Mr. Ojile worked for U S WEST in Minneapolis and Denver in legal and management positions of increased responsibility, was in a private law practice in Minneapolis with the Popham Haik law firm and clerked for Judge Thomas Shanahan of the Nebraska Supreme Court. Mr. Ojile earned BS in Business Administration, specialization in Accounting, from the University of Nebraska-Omaha and a JD from the University of Nebraska College of Law. Managing Partner of Point Piper LLC. Point Piper is focused on making investments in growth companies in the Education and Healthcare industries. In 1987 Kirk Riedinger co-founded Alta Colleges, Inc. through the purchase of a single post-secondary for-profit institution. Over a 20 year career he grew an educational business from $3.5m to over $400m in sales with more than 25 locations in nine states. He managed through multiple organizational changes, growing and scaling this successful multi-site business. Most importantly he hired and led a strong executive team that executed the company’s mission. 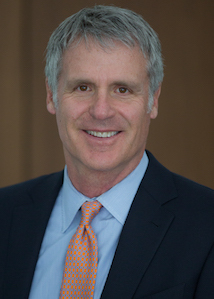 Kirk Riedinger served as Chairman of the Board of Directors (2006-2015) and previously served as Executive Chairman of Alta Colleges (1995-2006). As Executive Chairman he was responsible for developing and managing the company’s strategy, sales, marketing and acquisitions. He has served as a member of the Governor’s Commission on Science and Technology (Colorado), a member of the Board Nominating Committee and a member of the board of the Association of Private Sector Colleges and Universities (APSCU). In 2010 he was elected to the Board of Directors of The Community School, a private, independent school, and to the Board of the Sun Valley Center for the Arts where he lead the Finance Committee.